Why become an authorized CCUBE Test Centre? Differentiation is the name of the game in the job market. Students and professionals look for every opportunity to differentiate and stand out from the rest. They know that a third-party competency certificate is one of the best ways to do that. Competency certification also helps industries/employers identify the right talent quickly without having to invest their time and effort in verifying the skills of candidates/employees on their own. Hence, the market for competency certification is on the rise. Though product companies offer competency certificates, there is a premium for third-party or vendor-neutral competency certifications. CCUBE is the fastest growing vendor neutral Competency Certification test centre network in India. CCUBE fills the gap by offering third-party competency certifications for engineering and management professionals in a number of software skills. 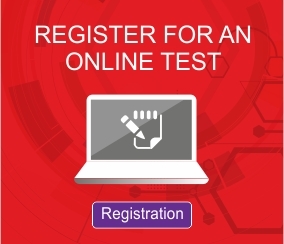 Who can apply for an authorized test centre License? You could be an Engineering/IT training Services Company or Engineering/Management Educational Institution or Human Resource Recruitment Agency / Placement Services Company. We invite you to become an authorized test centre of CCUBE and serve the competency testing needs of students in your location. Minimum 5 Desktop Computers with uninterrupted power supply. CCUBE will provide you all assistance in setting up the competency test centre – right from handling day-to-day operations to marketing the product to potential consumers. CCUBE has a dedicated network to provide all promotional, logistics and operational support to you and make sure that you run the centre optimally and profitably. Contact us to know more about becoming the authorized test centre anywhere in India. Fill the form below or call us at 9884422805/044-45918924 today.